Auditions for Bedroom Farce. 8 p.m. St John's Church Centre, Merrow. Due to work commitments, auditions will now take place on 2 April. For an audition pack, please email kwcarl23@gmail.com. MDS Murder Mystery Evening. 7:30 p.m., St John’s Church Centre. Note change of date. Bedroom Farce at the Electric Theatre. 7:30 p.m. Saturday matinée at 2 p.m.
Quiz Night with fish & chip supper. Pantomime: Peter Pan. 7:30 p.m. Saturday matinée at 2:30 p.m. 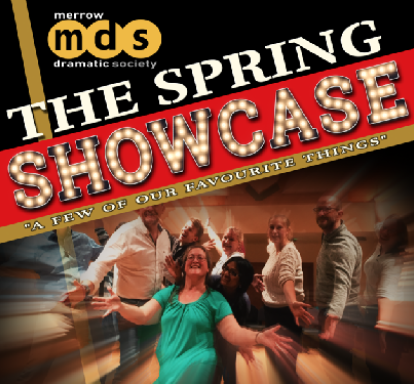 The MDS Spring Showcase will take place on 11 May 2019 at Merrow Methodist Hall, starting at 7:30 p.m.
MDS welcomes new members of all ages. Please click here for further information. Audition dates and locations for shows are shown in the 'Upcoming Shows' section. All you need to do is turn up! If you'd like more information beforehand, just ring or email us. Membership is £20 for adults, £15 for juniors, and £25 for a family per year. We usually ask for a 'Show Fee' to cover licensing costs.